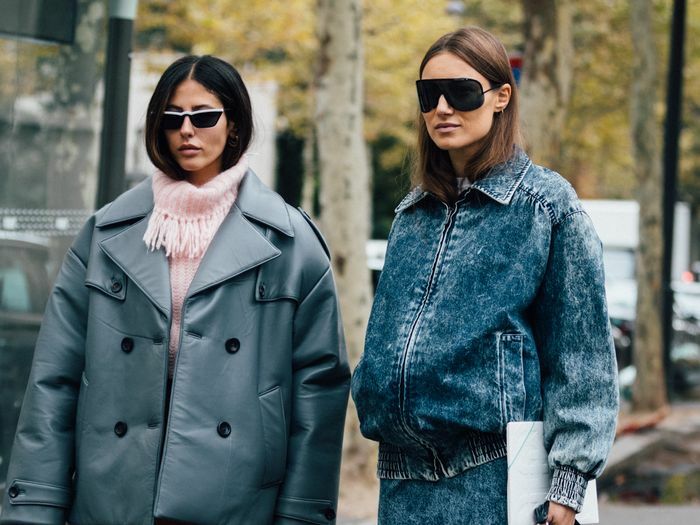 Global fashion search platform Lyst has just released its annual Year in Fashion Report, revealing the most powerful fashion trends, influencers, designers, and products of the year. The report is based on global search data and social media mentions, and when you take a closer look it reflects exactly what you've seen all over your social feeds this year. The section of the report that had us most excited is the most-wanted brands of Instagram. The report is pulled by scanning the spikes in search demand correlating to Instagram mentions and brand tags so far for 2018. The list surely won't surprise, and when we look at the top ten, our entire team owns at least something from a brand on the list. Did you shop any of the brands on the list? Read on to find out. Meghan Markle is a fan of this sneaker brand! We'd wear these with a crop top and flat slides. We're all for the return of the pouch, especially when it has tassels and embellishments. The updated version of a going-out top. Wear it to the beach, or with a pair of high-waisted shorts. We're all about this bag shape and the lilac hue. The perfect LBD for party season. This Australian brand keeps going from strength to strength. French girls are OBSESSED with Rouje. Wear it cinched in at the waist, or loose and oversized.